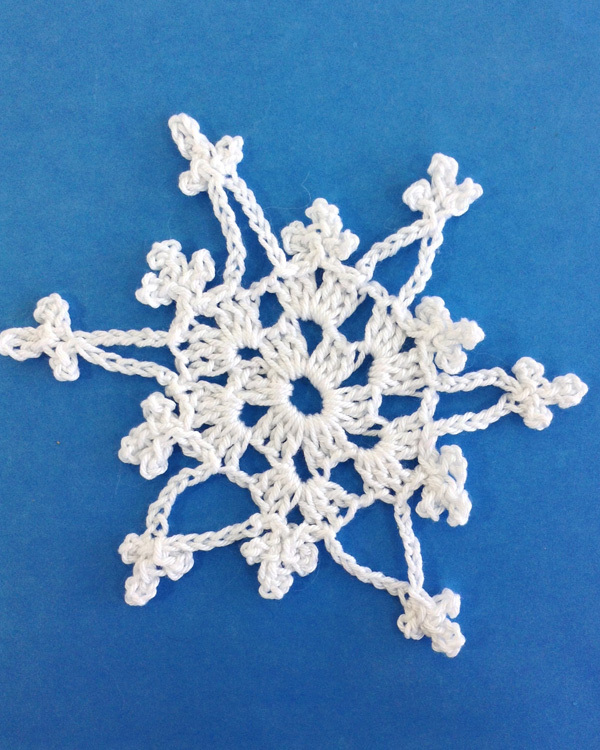 Some crocheters love doilies with their intricate designs, while others find them time-consuming and boring. Whether you crochet a doily yourself, find it at a craft store or stumble across it at a second hand shop, there is so much craft potential for the doily. 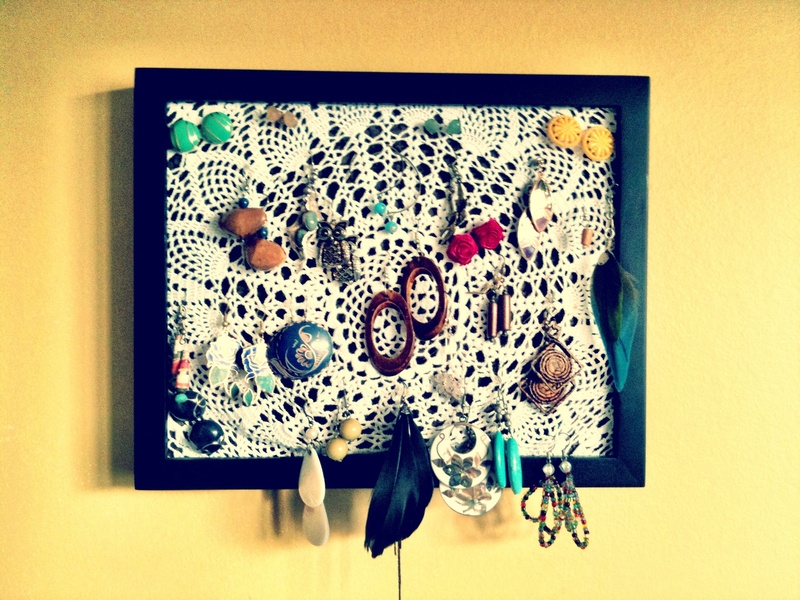 Doilies are conventionally used as decorative mats, but let’s just forget that for a moment. Let’s step out of the box and get creative! Here are are some inspired ideas for doily crafts. What will you do with your doilies? The idea for this alternative to the typical jewelry box came from The Great Society: This Blog is Going Smash. 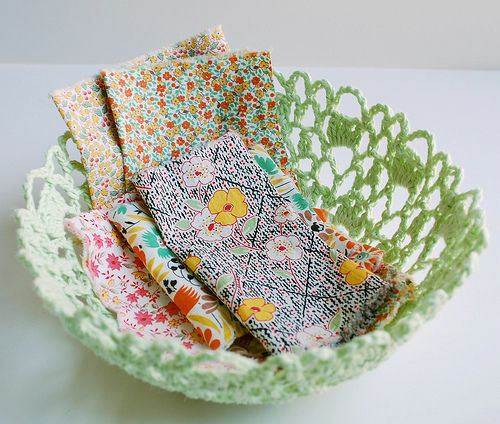 Turn a doily into a bowl. This is a great idea for stylish organization. Read how Michelle made this crochet doily bowl at Crafty Dill. 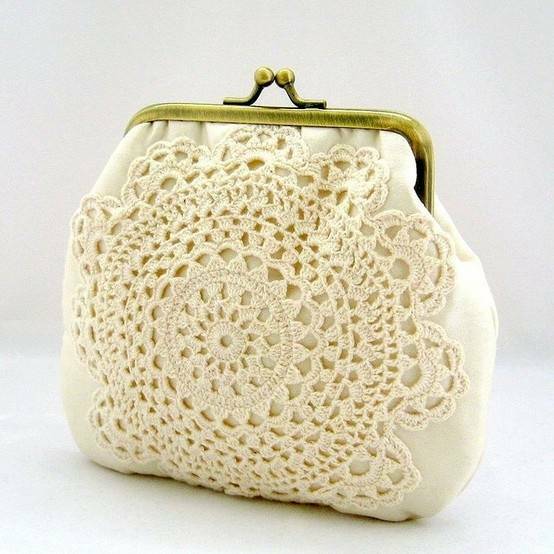 Add some elegance to a clutch with a doily. This was was originally sold by sewlola on Etsy. No more boring lampshades! Using doilies you can make lighting so much more interesting. 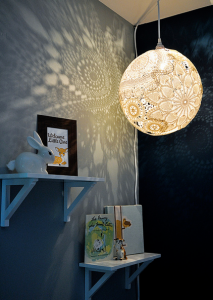 Emmmy Lizzzy has a tutorial for how to make this inexpensive doily lamp. 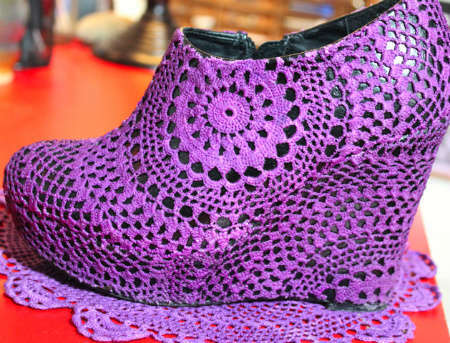 Add a stylish twist with doilies to your wedge shoes. Craftzine has a DIY tutorial on how she added doilies to these wedges. 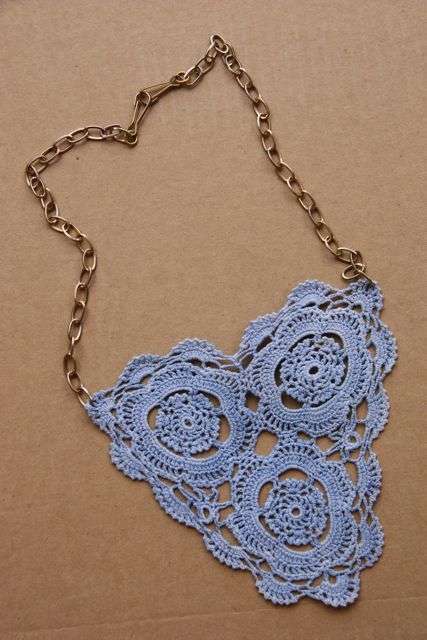 This specific blue doily necklace was made by Carrie from This Mama Makes Stuff; however, she followed a tutorial from Bleu Bird Blog to make it. 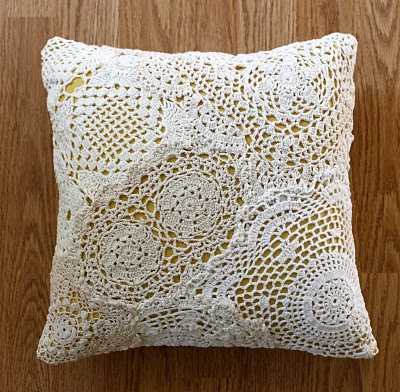 Lori from Smile and Wave has a DIY blog on how she arranged these doilies to create this awesome pillow. Click on the images of these great doily crochet patterns and try making one of these creative doily projects. 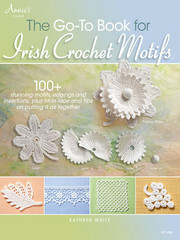 These would be great for many of the doily craft ideas. 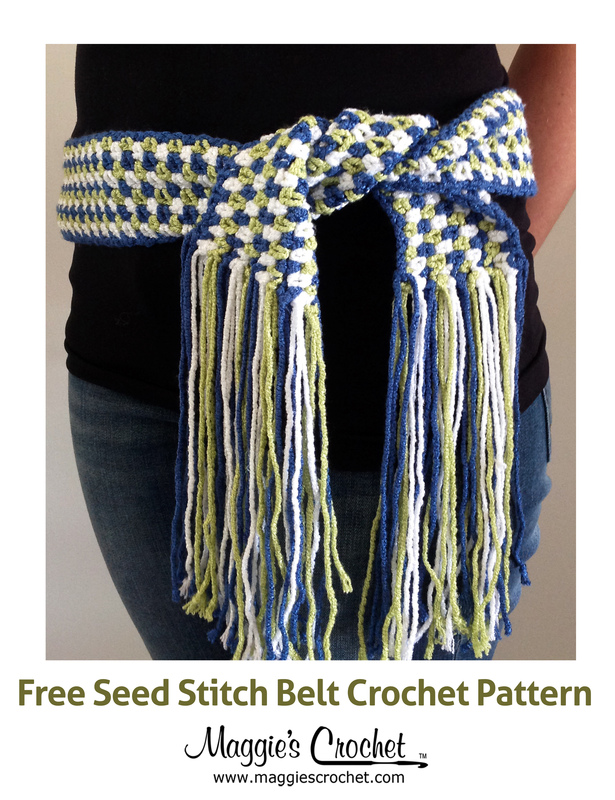 This would be so neat on the lamp or the pillow. 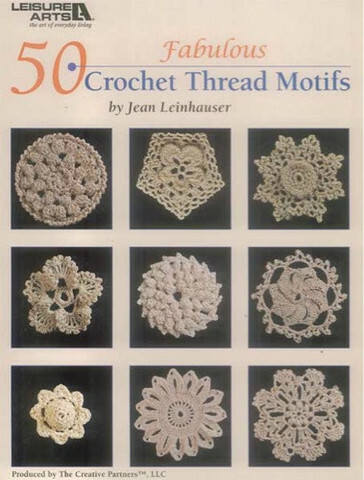 These would be great for making the doily necklaces. 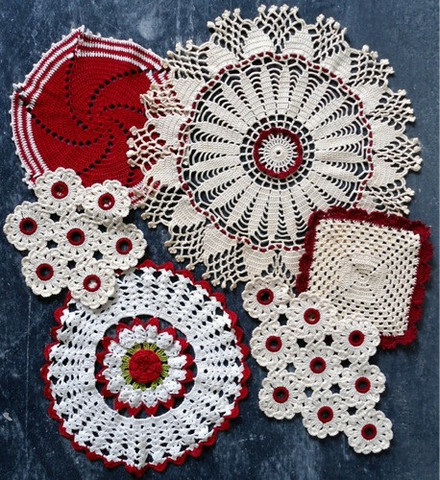 What could you craft with these vintage crochet doilies? 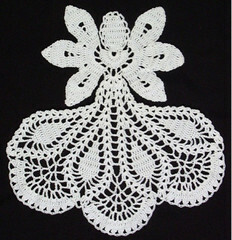 If you enjoyed this post, read about doily crochet dresses or get ideas for other craft projects.